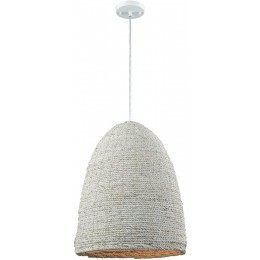 Our textile-inspired 'A Loom In Essence' pendant forms a massive dome of hand-loomed rope woven in thick white plaits. offers excellent design range, unique textural complexity, and soft neutral color. Perfect for adding big contrast to a small modern space.